There are a number of important factors to should consider when deciding if a hamster is the right pet for you and your family. There are a number of varieties of hamsters and they tend to vary in characteristics and look, based on the variety. While all hamsters have around the same lifespan and require very similar care, be sure to choose the hamster (or hamsters) that is the best fit for you. These are the three most common types of hamsters that are typically for sale in pet stores. Different species of hamsters should never be kept together. Some hamsters are best as solitary pets and some are social and enjoy the company of others. If you choose to have multiple hamsters in one cage, be sure to determine the gender of the hamster and aim for only one gender. If you have mixed genders in one cage, you will likely have hamster babies soon. Syrian hamsters are the most common type kept as pets. These should be kept one to a cage (they will fight if kept together). They can be quite tame and easy to handle. Dwarf hamsters (Campbell's and winter white Russian hamsters, Roborovski hamsters) are more social and are probably better kept with others of the same species, but they should be introduced as a pair at a young age. Fast and agile, they are a bit harder to handle. 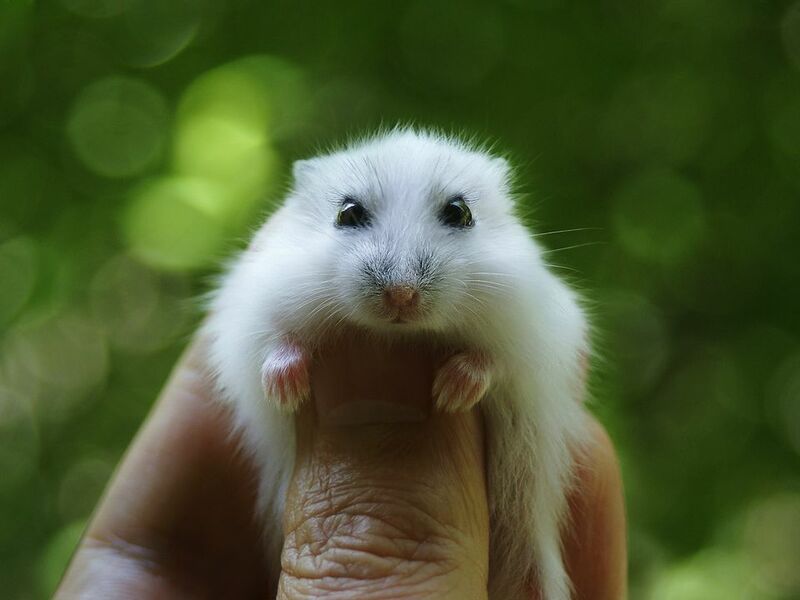 Chinese hamsters are similar in size to the dwarf hamsters but not a true dwarf hamster. Sometimes they get along with other Chinese hamsters, but often they do not. This type tends to be quite friendly but is also very quick and agile. Different varieties of hamsters do have slightly different expected lifespans, however, all varieties seem to live for approximately 2 years. The different hamster varieties do have a quite significant physical size range. Be sure to understand how big your hamster is expected to grow and have a hamster habitat that is suitable for your size hamster. Chinese Hamsters: around 4 inches (10 cm) - and, unlike other hamsters, they have a noticeable tail as well. You will need to select a cage that is large enough, safe, and easy to clean. Unfortunately, standard cages you will find at the pet store are not "one size fits all" in regards to hamster varieties. A Syrian hamster will need a different type of cage than a Chinese hamster. As always, if you have any questions about the type of hamster and specific care needs, be sure to talk with people at a pet store or with your veterinarian.